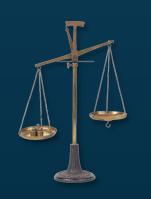 At the Law of Firm of Bernard James O'Connor, Esq., I provide my clients with quality legal counsel in a broad variety of legal matters including being your NJ divorce lawyer, bankruptcy lawyer NJ, NJ real estate attorney. From straight forward issues to serious litigation, my mission is to provide you the experience and confidential advice you need to maneuver through the laws of New Jersey and New York. My approach to customer service ensures each client received personal attention and quality legal guidance. I am committed to assisting you in a timely manner, and communication is the key to serving my clients well. You will never be left in the dark about your case, I return calls, email and faxes as promptly as possible and I never miss a legal deadline. Also, my office is up to date with the latest technology. My goal is to provide you with exceptional courteous service in every possible way. When you need legal assistance or representation give me a call whether you need a NJ divorce lawyer, bankruptcy lawyer in NJ, or a NJ real estate attorney we are here to serve you. I offer a free initial consultation where we can discuss your needs and assess your matter. I will give you an honest estimate of the time the legal process may take as well as any fees that may be associated with your case. The complete resolution to your case in a timely manner is what I will strive to achieve. You are the reason I am in business and I want to do everything that I can do to serve you. If you have any questions or if there is something I can do for you, specifically please don't hesitate to let me know.